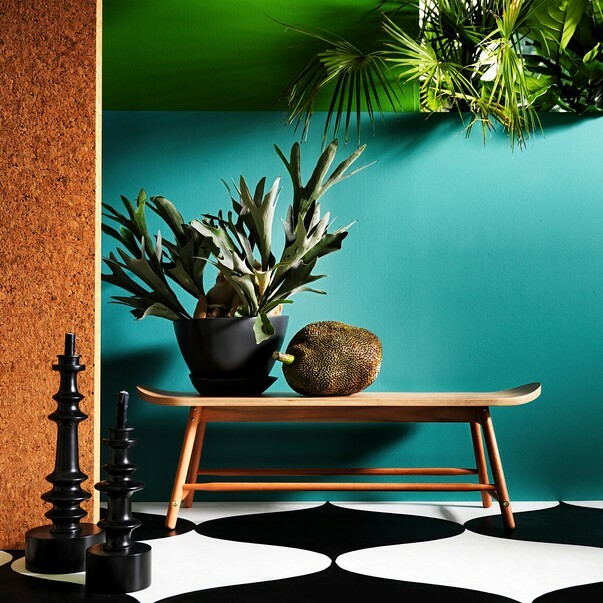 In February 2016 year launched a new collection from IKEA, which combines elements of the Swedish Brazilian design. The collection appeared due to the company's designers who have decided to bring in a sleek Scandinavian style holiday Brazilian colors and decors. 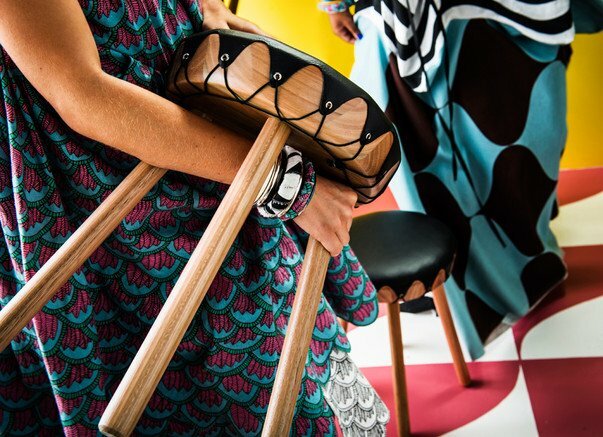 To inspire the designers visited the sunny city of São Paulo and studied aesthetics and culture of Brazil, which fully helped to create a limited edition collection of products for the house named TILLFELLE. 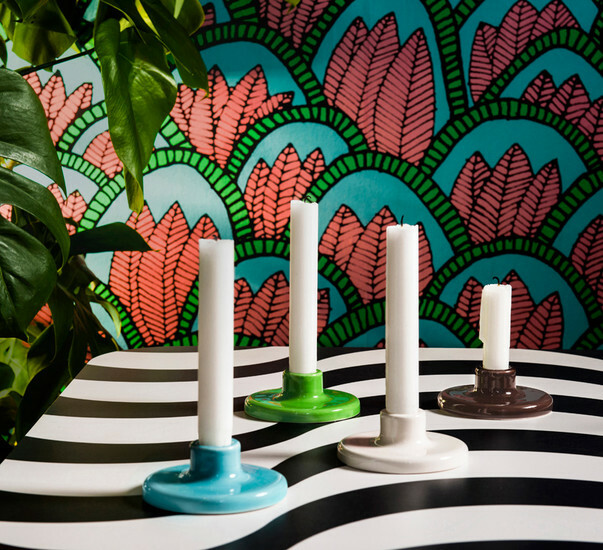 Designers skillfully combined in TILLFELLE Swedish simplicity and expressiveness Brazilian, bold color combinations and minimalism of Scandinavia. The collection includes not only textiles, but also furniture, home accessories, lamps and other products. 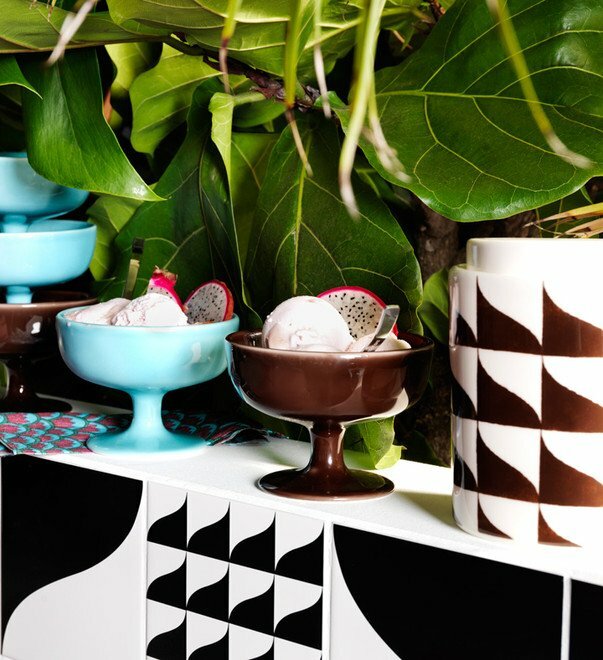 The basis of the collection - paintings, jungle motifs and street art in a rich palette. Today we present an overview of the TILLFELLE collection and we hope that you will not only like it, but will also be useful for choosing goods and shopping for your home in IKEA stores. The first item, which we consider to be dessert и conventional plates TILLFELLEMade of earthenware, covered with icing. It is interesting, in our opinion dishes with cheerful ornaments, able to create a summer mood. Among the dishes TILLFELLE collection we also found a small but roomy bowls different colors which can be used not only as dinnerware but also tableware and serving. Separate option utensils for table TILLFELLE also present in the collection. It is located on the heat-resistant tube, which will protect furniture from scratches, but also will serve as a stand with hot dishes. Bowls are shown in white, brown and blue colors. Note that unlike most bowls, stand of cork can not be washed in the dishwasher. 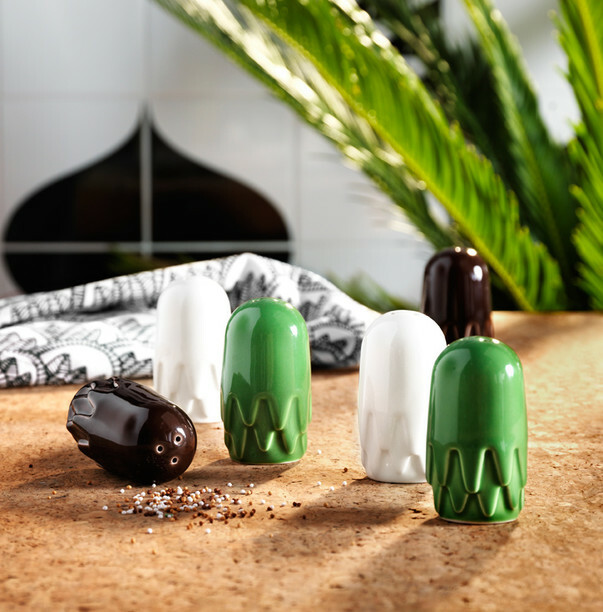 From products for the decoration and tableware collection TILLFELLE we have found funny salt shaker и pepper earthenware, as well as a number candlesticks faience and an array of mango, which will help create a festive and mysterious atmosphere in the house. - stool Eucalyptus with a cover of dyed cowhides and embossed surface. Among other goods TILLFELLE worthy of attention, mention may be made earthenware stand under hot and tray with zebra print. And Stand under a hot, corkThat can be combined. Individual items, which is widely represented in the collection TILLFELLE goes textile. Here and there kitchen towelsand pillow coversand lengths of cloth fabric with different ornaments. 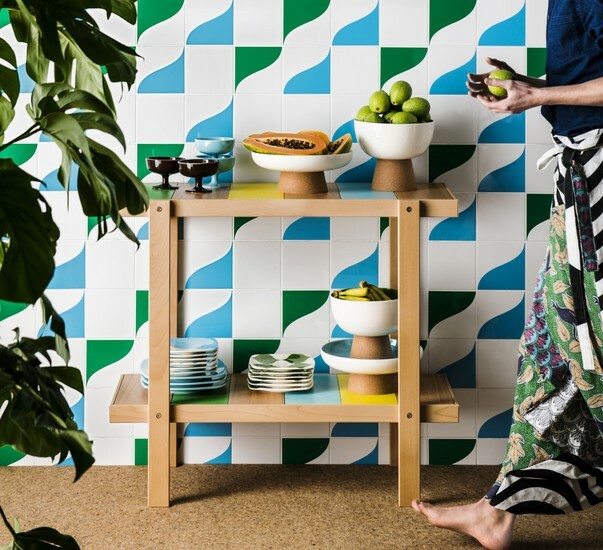 Get inspired and decorate your house with collection goods TILLFELLE from IKEA!